Bay Area Community Resources (BACR) is a regional 501(c)(3) nonprofit agency that provides a range of services in seven counties around the San Francisco Bay Area. Toward these ends, BACR delivers services at more than 100 school- and community-based sites in the following program areas: After School, Alcohol And Drug, Healthy Communities, Mental Health, National Service, Tobacco, Youth Leadership, and Fiscal Intermediary Services. 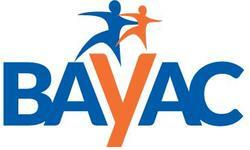 BAYAC (Bay Area Youth Agency Consortium) is a National Service program of Bay Area Community Resources. With a focus on youth development and youth services, BAYAC AmeriCorps provides full-time service opportunities in partnership with over 40 schools and community-based organizations throughout six counties of the San Francisco Bay Area. As part of AmeriCorps, a federally funded national and community service program, BAYAC Members commit to a year of service in the Bay Area's most high-need communities, working to provide youth with opportunities for meaningful engagement, skill building, and emotional and social development. Members receive training and professional development as they serve essential site staff roles, providing direct service and consistent support to youth in a variety of ways, including one-on-one academic tutoring, workshops and classes, college and career counseling, and case management. BAYAC AmeriCorps Members are an essential component in expanding our partners' capacity to meet the critical needs of our youth and community. Collectively, our Members will reach over 3,000 youth by the end of their term. Strong connections between adults and youth in youth development programs have a proven long-term impact in helping young people avoid risky behaviors, graduate from high school, and stay out of contact with the justice system. 85% of our high-risk kids improve in the youth development skills shown to increase school success— i.e., the ability to connect with positive peers and adults, to be productive, and to navigate their environment effectively (statistic from BAYAC progress report data). BAYAC (Bay Area Youth Agency Consortium) is a National Service program of Bay Area Community Resources. BAYAC AmeriCorps Members commit to a year of service at partnering schools and community based organizations, providing youth in the San Francisco Bay Area's most high need communities with opportunities for meaningful engagement, skill building, and emotional and social development. Many of the children and youth we work with are deeply impacted by the stressors and obstacles presented by poverty, disadvantaged neighborhoods and under-resourced schools. BAYAC AmeriCorps Members are an essential component in expanding our partners' capacity to meet the critical needs of our youth and community. Collectively, our Members will reach over 3,000 youth by the end of their term.